and then by the army of ancient Rome starting about the fourth century BC. from the military formation of the hoplite phalanx of the Greeks to the formation with maniples. In the former, the soldiers carried a round shield, which the Romans called clipeus. which was a larger shield. Originally it was an oblong and convex shield. 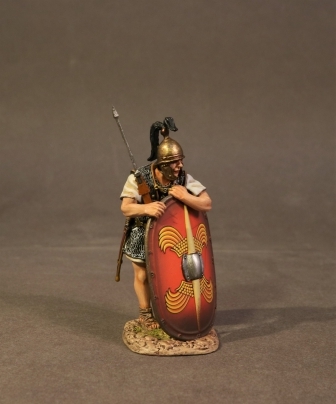 semi-cylindrical shield that is popularly associated with the scutum in modern times. Roman shields were of varying types depending on the role of the soldier who carried it. Oval, circular and rectangular shields were used throughout Roman history. from the beginning of the first century B.C. until the establishment of the Imperial Roman army by Augustus in 30 B.C.